This pickle jar is half empty, not half full, because the fewer pickles you have the worse your outlook. Ridgewood, in many ways, retains that old-timey New York City feel that slips through your fingers in other parts of the boroughs. Lots of neighborhood people speak with a classic New York accent. Sometimes, you meet a white-hair with old-country inflection who tells you that Section 8 ruined the idyllic flavor of Ridgewood, and you’ll slowly back away. But most of the time, people seem content with the relative lack of change here. It’s slow. The classic tests of “New Yorkness” in the culinary sense: Pizza, Bagel, Pickle. 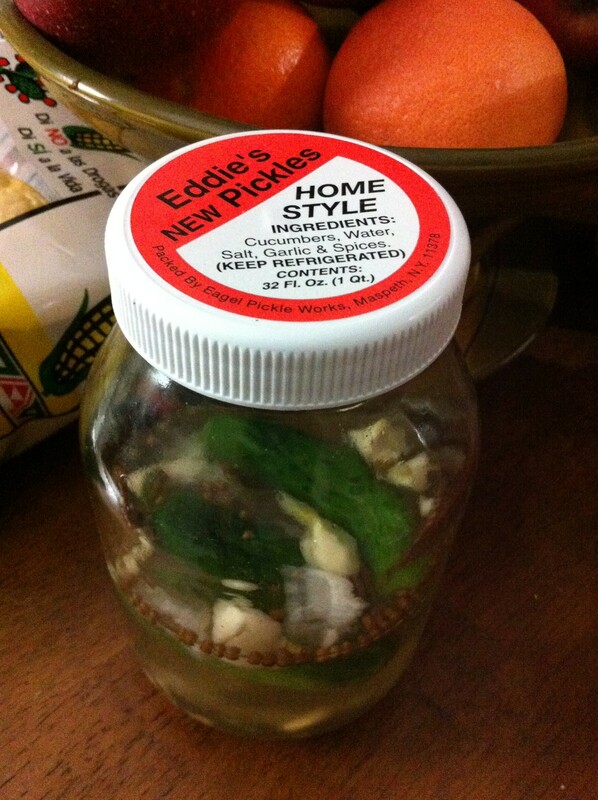 So when I found Eddie’s Pickles for sale in a plain glass quart jar at Seneca Garden, I breathed a sigh of nostalgic familiarity. The tiny kirbies are packaged in Maspeth, by a company that misspelled their own name on the label. They are left whole and come in kosher dill, half sour, or new. They have an expiration date about three months after when they are made, which is important! Pickles that don’t expire have been boiled for pasteurization, and since these are just lacto-fermented (i.e. brined) they won’t last forever. Eddie’s Pickles have four ingredients (plus water): cucumbers, salt, garlic, and spices. They cost $3.49 per jar. The new pickles, which were the only type in stock on my most recent venture, taste crisply of cucumber-ness. The brine flavors the seedless cukes without softening them. The garlic, if you choose to bite into it, is still sharp and spicy, and it floats surrounded by round coriander seeds and juniper berries. The brine tastes salty but fresh; it’s completely and dangerously drinkable, and would be perfect for picklebacks, if you are into that sort of thing. 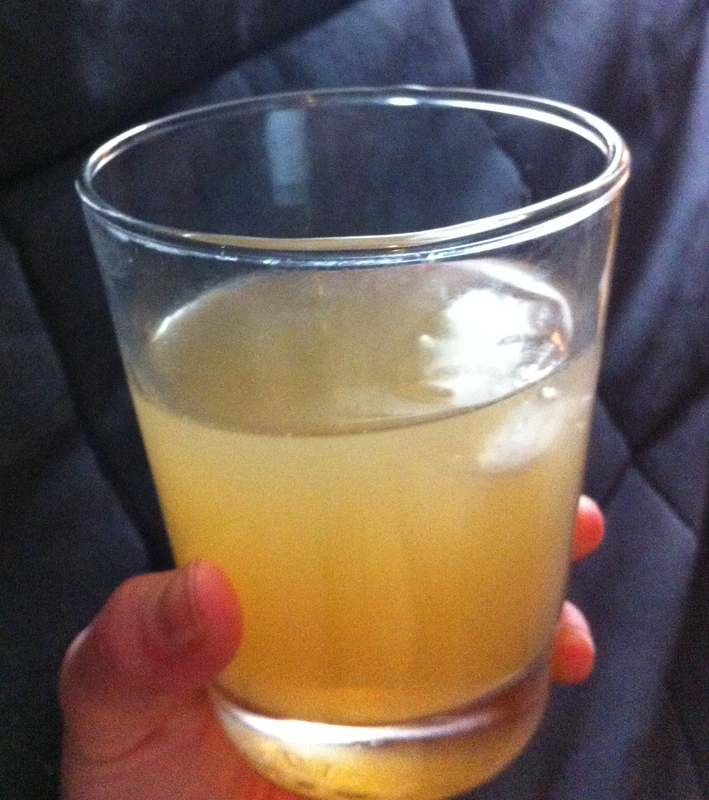 I have pickled cucumbers and string beans in this brine after eating all of the original pickles. They are never as good as the originals, but still: no salt water is wasted in this home. My grandfather, originally from St. Albans, another old neighborhood of Queens, would be proud of my thriftiness. 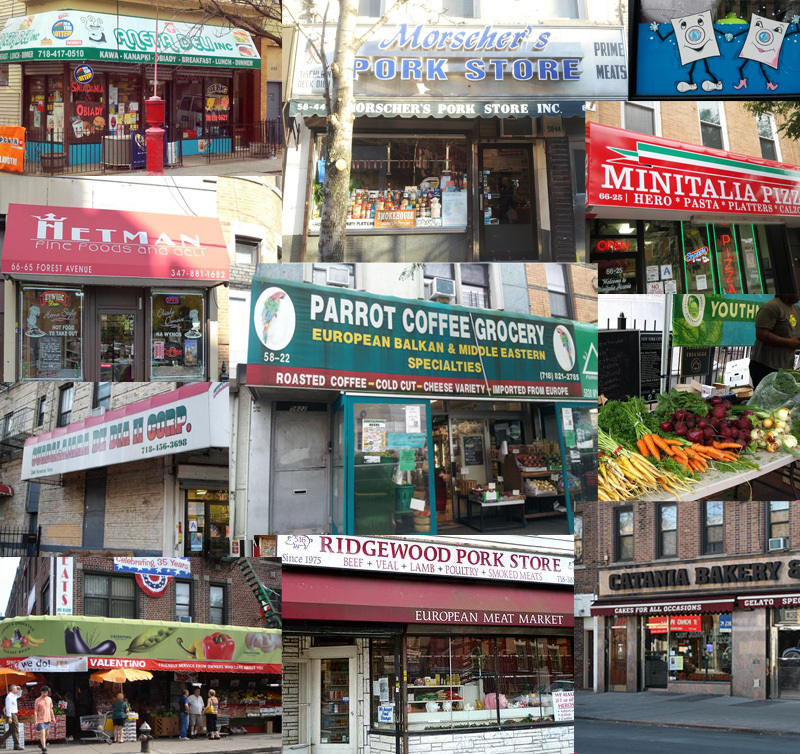 Ari writes about her food finds in Ridgewood. She tweets @arispool.